Empower your kids! Team SuperManners makes it cool to be respectful, while having fun making parents proud. If you haven't read this book to your kids yet, take the opportunity while they're still listening. We read to our children while their young for a number of reasons. Why not add learning respect and helping others? Team SuperManners entertains while doing all this! Get in soft cover or for your kindle today! They'll learn to use words rather then hitting sisters and brothers. Hearts, like doors, open with ease, when you use the one magic word: Please! When big people are talking and you want to talk too, we'll show you what to do. It's not hard, you see, like please and excuse me, this one is simple and key. Sally Super-helpful is nice and well-mannered every day. When anyone tells her thank you she knows just what to say. Is their next house visit yours? 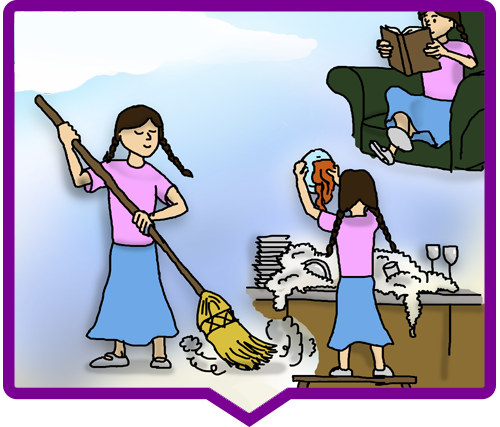 Reading a story to your son, daughter, niece, nephew, or grandchild should be about comfort, entertainment, and if possible, a nice lesson. GIve the children in your life a reason to open the door for you and say please. To help kids with manners and to be nice. Even the dog Zander gives advice! Teddy wants more cake and isn’t getting his way. Screaming and stomping will make his parents pay! 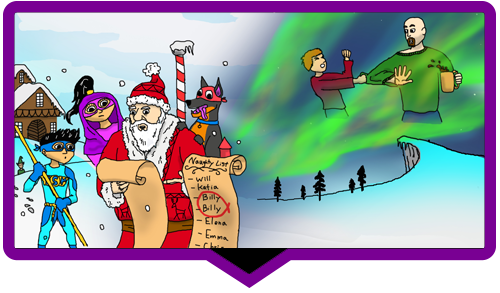 A visit with Santa to see who’s been naughty or nice, Billy Bad Interrupter made the naughty list twice! Ungrateful Greta was selfish since two. No matter how much she got, she’d just complain and boo hoo. Sally Super-helpful is nice and well-mannered every day. She knows just what to say. 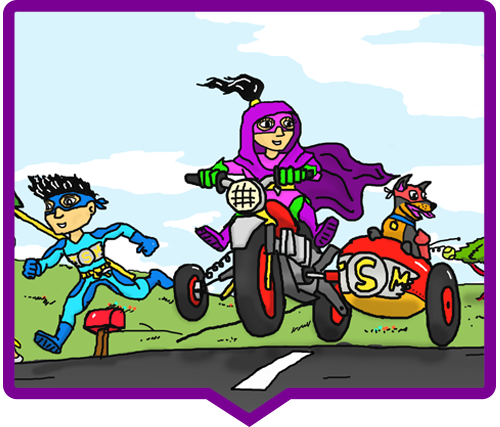 Team SuperManners & The Well Behaved Adventures of Zander the Dog, Sweet Cheeks, and Baby Girl. Get your perfect bound or Kindle copy today! Ungrateful Greta was selfish since two. No matter how much she got, she’d just complain and boo hoo. 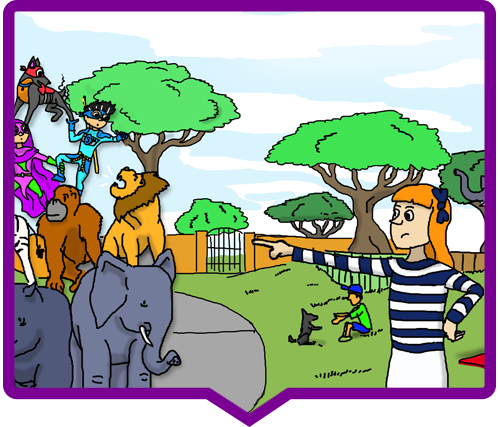 At her zoo picnic party, she demanded cookies. 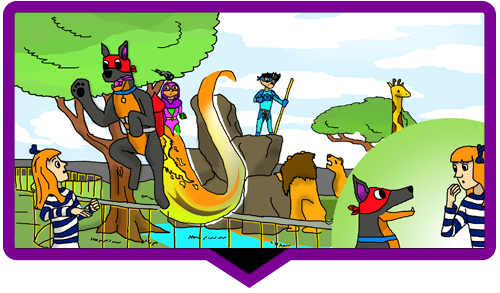 She demanded a seven-zoo animal, two-human, and one-dog –pyramid from the Team SuperManners three. 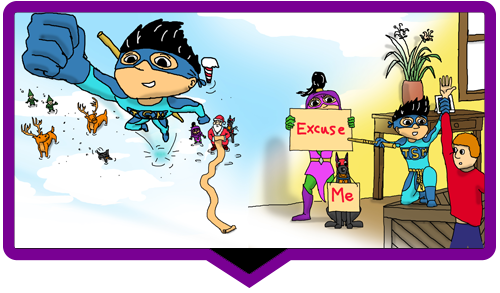 Finally, Team SuperManners had to speak up! Ever since we’ve arrived you’ve demanded and pouted. 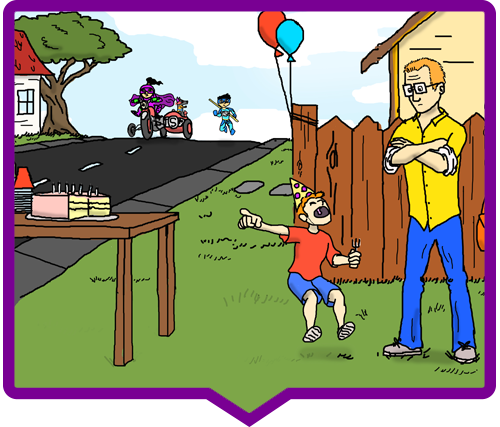 It’s time to learn two words, Zander the Dog almost shouted! Sweet Cheeks said, It’s not hard, Greta, you see. Like “please” or “excuse me,” this one is simple and key. throws you a party at the zoo. 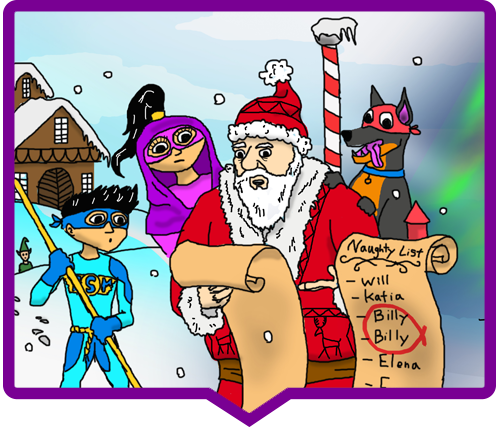 Team SuperManners finds out Billy Bad Interrupter made the naughty list twice! Seems Billy has a bad habit of interrupting to get heard. Billy hasn’t yet learned one simple word! 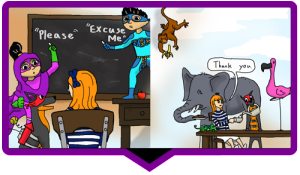 Are “Excuse Me“ and let Sweet Cheeks from Team SuperManners teach them to Billy and you. Just raise your hand, say “excuse me,” and they’ll listen to you! "Charming and smart! 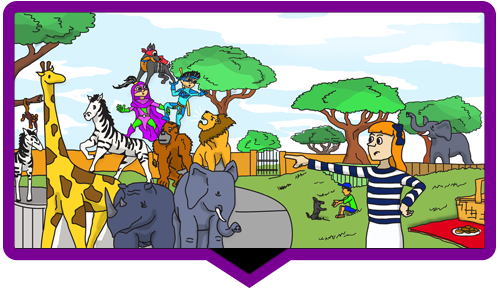 This little book will engage children while teaching them the importance of manners. I wish it had been available when my kids were small." "Wonderful writing and great illustrations. My granddaughters love to find the hidden animals in the drawings as I read. A message that could be heard more often." "My twin boys have actually started to hold the door for us! Thanks for writing this kind hearted children's book. We are all a bit impressed by their reaction to it." Tom Salonek is Sweet Cheeks and Baby Girl’s dad. He’s the author of the much less fun book Building a Winning Business. He lives with his family in Minnesota. Jakob Bartels is a student at Bethel University that loves to draw. He’s the designer of the crest for the U.S. Navy Submarine – USS Minnesota. He also enjoys creating comics for his little sisters. Team SuperManners™ | All rights reserved. Copyright © 2014 by Tom Salonek All rights reserved. 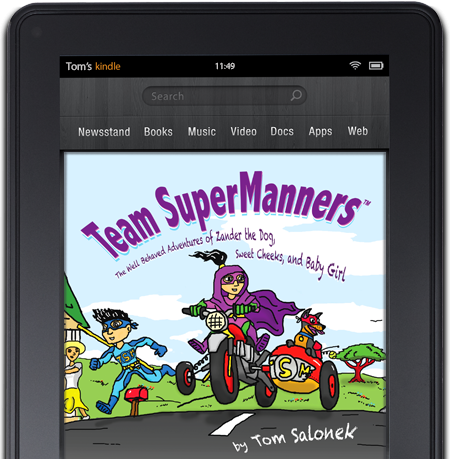 For information about permission to reproduce selections from this book, please visit www.teamsupermanners.com and click the contact link.